Welcome back to another edition of "Mad Monday". Unfortunately, this week's column will be just as gloomy as last weeks. Last week I wrote about how the way the Pens are put together under the current salary cap that they can't afford to have Evgeni Malkin and Sidney Crosby go into slumps at the same time. We saw what happens when they do during the Eastern Conference Finals last year against the Boston Bruins. Well it's happening right now and the results are similar. The Pens have last four of their last five and have failed to score more than one goal in all but one of those games. Malkin hasn't scored a goal in 13 games and Crosby has one goal in his last ten games. The Pens record in those five games; just 5-5. It's not rocket science. The Pens are a top-heavy team that is dependent on its two superstars to produce. When Crosby and Malkin are both slumping at the same time, well then you see a mediocre hockey team show its true colors. I'm mad that head coach Dan Bylsma hasn't made any changes. Notice that I didn't use the word adjustments. 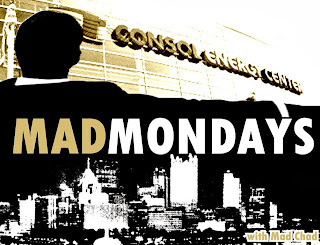 So many yinzers cry and say "Bylsma doesn't make any adjustments!" then fail to come up with any actual ideas that would help improve the team. What changes can Bylsma make? Well here are a few ideas:. Change the top two lines. They're not producing like they were. I understand that a lot of people aren't fans of splitting up the Crosby-Chris Kunitz-Pascal Dupuis line, but Dupuis has just two goals on the season, and Crosby has just one goal in his last ten games. I also understand that Crosby wants that line to stay together but that's just too damn bad. One suggestion would be to put Pascal Dupuis on the second line, moving Beau Bennett to the first line, and and moving Jussi Jokinen to the third line with Brandon Sutter. The alternative would be to move Chris Kunitz to the second line, with Jokinen going to the third; and Bennett to the first line. This is the more popular sentiment given that Kunitz-Malkin- and James Neal were the best line in hockey in 2011-2012. 1. Bennett is being wasted on the third line. Bennett, a former first round pick, has shown flashes of being a top-six forward. 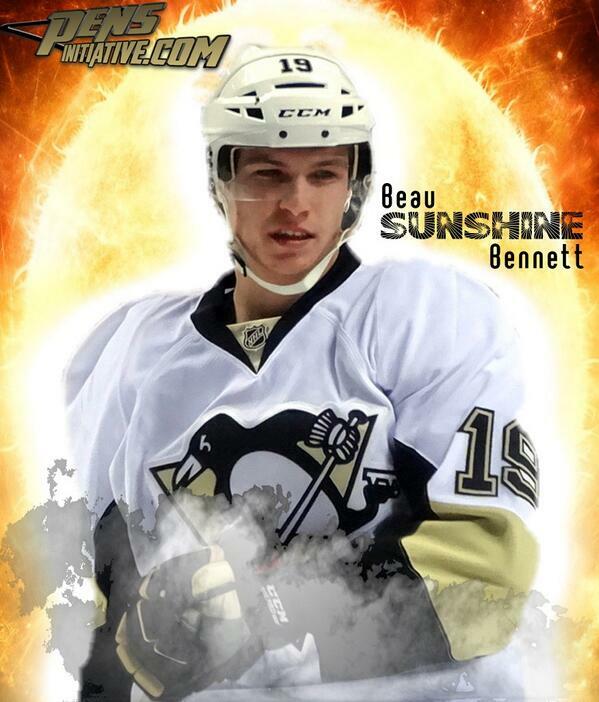 Hell, Bylsma even said that Bennett "is a top-six forward" during his press conference this past summer. There is no way in finding out if Bennett is a top-six forward other than playing him as such. If you don't believe that see Alexsky Morozov for a reference. Play Bennett with Crosby and either Dupuis or Kuntiz and you'll see a big change in Bennett's production. With him producing, Bennett's confidence will sky rocket and benefit the team greatly. Not to mention that the Pens have been abysmal at developing young players under the Bylsama and Ray Shero. By the way, since writing this article this actually came into play, the Pens have put Dupuis with Malkin and Neal, and have put Bennett with Crosby and Kunitz. 2. With either Dupuis or Kunitz going on Malkin's line, it is a much needed change for that line. As good as Jokinen has been with Malkin, now that Neal is back, that line has nobody to do the dirty work. No one to play hard on the boards and crash the net. Kunitz would have been ideal, especially considering how he played with Malkin and Neal two years ago, but Dupuis can play a similar role effectively. The hard part about putting Martin on the first unit is who do you take off? You're not going to take of Crosby or Malkin, although some people would argue that they almost contradict each other on the power-play. You can take off Letang, but you lose a lot of creativity and production, as well as one of the few viable options of having a right-handed shot on the unit. You can take off Kuntiz, but he leads the team in power-play goals and is their only true front of the net presence. That leaves James Neal, but then you're talking about taking off a 40+ goal-scoring All-Star. My vote would be to take Letang off for now and have him come on for the second unit. Just like with the regular lines, the power-play isn't good enough to not think about making some strong adjustments. Going forward, I think the Pens have two pressing needs as far as the trade deadline goes. They need to find another viable grinding forward, someone in the mold of Brenden Morrow, that can bring size, grit, and some secondary scoring touch to the team. They also need a veteran backup goalie in case Fleury shits the bed in the playoffs again; or Fleury, God forbid, gets injured. If Vokoun is done for the year, the Pens have about $2.5 million to work with in terms of cap space. They could also move a defenceman, most likely Matt Niskanen in a trade that would give them roughly $5 million to work with. Getting more size and grit is a must given the style of play needed to win a Stanley Cup. A viable-veteran backup would be more of a luxury thn anything.